SUPERHERO CYBORGS 2.0 @ AUTODESK'S PIER 9! 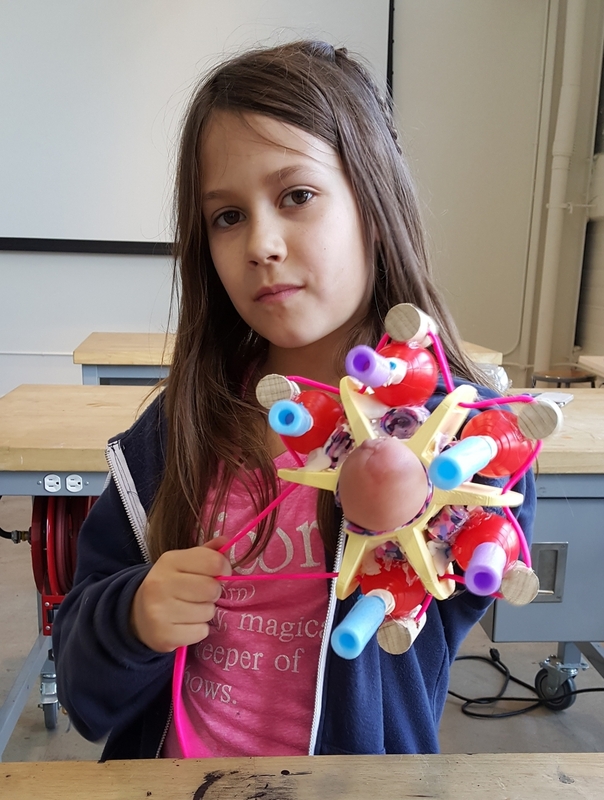 This past month, we had the pleasure of holding our second Superhero Cyborg workshop. This time, with the help of Autodesk and CCA, it was even better than last time! 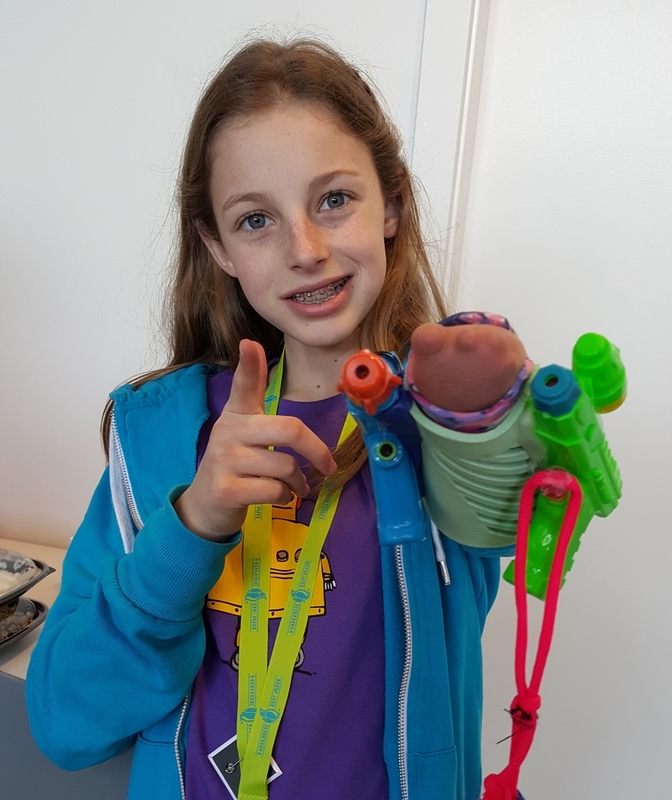 Superhero Cyborgs 2.0 was about reframing disability as opportunity by inviting kids with upper limb difference to create their own body mods. If prosthetics intend to replace a missing limb, why stop there when we could build a device that could do literally almost anything? Two incredible CCA grad students, Maya Kremien and Phume Mthimunye, were responsible for Autodesk generously hosting and sponsoring this workshop at their state of the art Pier 9 facilities in San Francisco. Sarah O’Rourke, Senior Product Marketing Manager at Autodesk, made it happen on Autodesk’s end, bringing together their Education and Manufacturing departments for the sponsorship, facilitating our use of the space, and generally providing above and beyond general support. We were really touched that CCA helped to sponsor the event, as well as providing some technology that enriched the workshop in a big way. Five out of our six mob members for this event are CCA students or alumni - my appreciation for the quality of the education and students there continue to grow. Helping Hands Foundation was instrumental in recruiting participants - we worked with six kids with upper limb difference, ages 10-15. Over the five days, we taught our participants a range of hard skills, including plaster+alginate casting of their residual limb, TinkerCAD, 3D printing, 3D scanning, Fusion360, electronics, and fabric/sewing. We did a ton of brainstorming and exploring ideas and super powers before unleashing our participants to create their own devices. For the kids, it was a chance to hang out with other kids with upper limb difference, to share their experience, frustrations, and aspirations. The support and encouragement amongst the group helped to create an atmosphere where they felt like they could do anything, which was backed by their access to a phenomenal set of tools and expertise to actually get it done. So, what ideas did the kids come up with? Their final presentations were to all of Pier 9! It was remarkable to see these kids get up and articulate their ideas and show off their work with such confidence in front of a group of 40+ professionals that they didn’t know. We (and I think the crowd, too) were blown away! Each of the participants have been buddied up with 1-2 designers/makers/engineers to continue developing their ideas and pushing their prototype closer to a final product. We’ve given them a 3 month timeline - and can’t wait to see where these projects go! We’re planning on getting the projects up on Instructables, and posting some form of this workshop on Project Ignite - stay tuned! Thanks to everyone who was involved for making this life-changing experience possible for this group of kids. There were lots of folks who made this event really special who aren’t mentioned here - we were touched by the outpouring of community and support, and folks wanting to help out. Thanks to all of you!